Our coverage of the 2018 Gravel Worlds is brought to you in part by Panaracer. 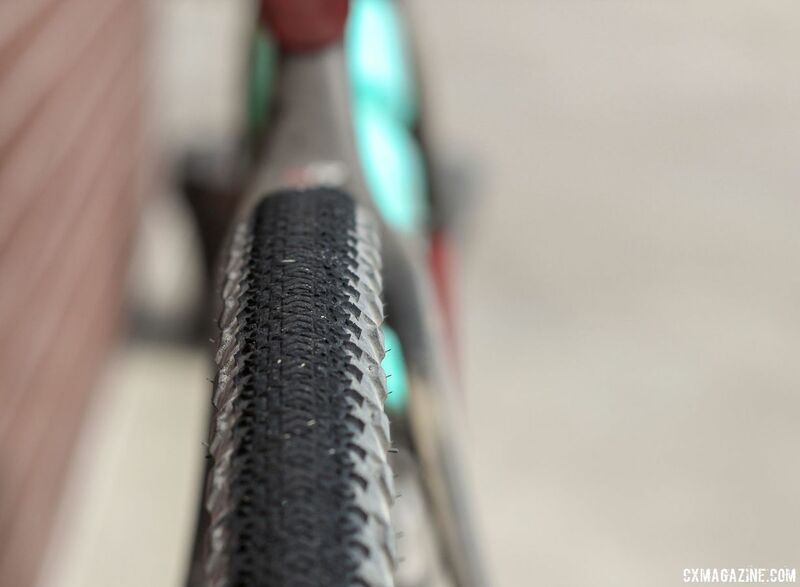 Check out its line of gravel tires for your next adventure. With multi-disciplinary success seemingly everywhere, the meteor X giordana team has taken an interesting approach to succeeding across disciplines. Over the weekend, the small team's gravel prowess was on display at the 2018 Gravel Worlds, but team members Colin Strickland and Michael Sheehan often find themselves ripping criteriums and even fixed-gear criteriums. Fast, action-packed crits are seemingly the polar opposite of long gravel grinds on rural roads, but the meteor X giordana team makes it work. On Saturday, the team had a banner gravel day with Colin Strickland winning the Men's race and Amity Gregg finishing second in the Women's race. Both Gregg and Strickland faced a lot of time riding solo during the 150-mile race. Gregg found herself chasing Women's winner Alison Tetrick solo for a good third of the race, and Strickland had to come roaring back to the front of his race after a mysterious slow leaking flat early on. As we will see, however, the two took a different aero approach when riding solo. 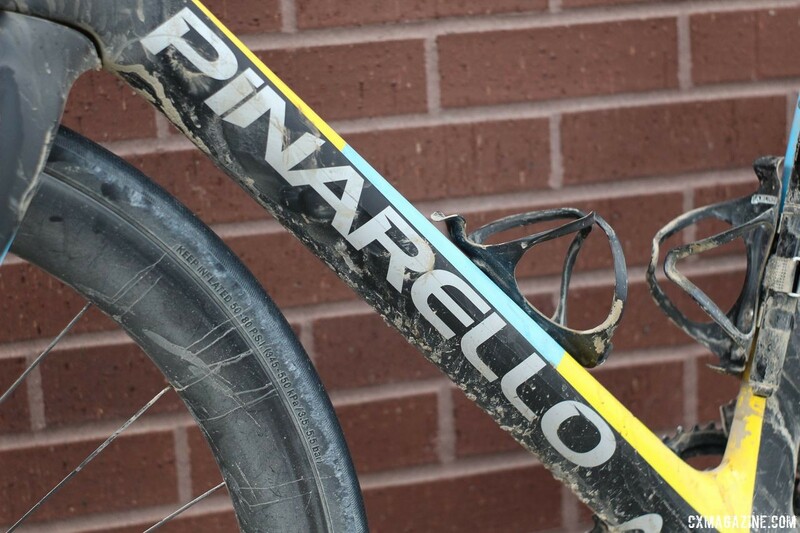 Both riders made their chases on their Pinarello GAN GR Disk gravel bikes. The carbon frame shares design characteristics with the Dogma road bike ridden by Team Sky, so it was well-suited to grinding long solo miles on the relentless hills outside Lincoln, Nebraska. We take a look at the GAN GR Disk bikes of Gregg and Strickland and highlight a big difference in gravel philosophy between the two teammates. 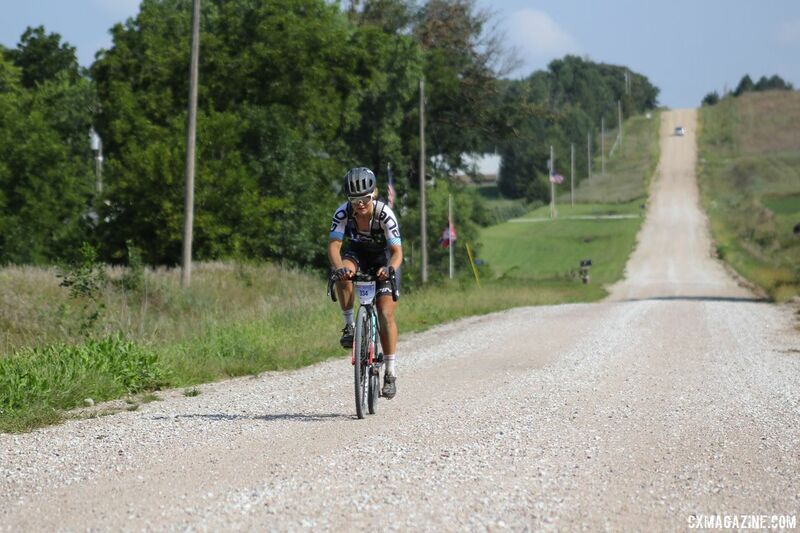 Gregg has had a busy season on her Pinarello gravel bike, including racing some of the biggest gravel races of the year such as the Dirty Kanza 200 and Crusher in the Tushar. Gregg rides the "157 Carbon Red" colorway version of the GAN GR Disk. 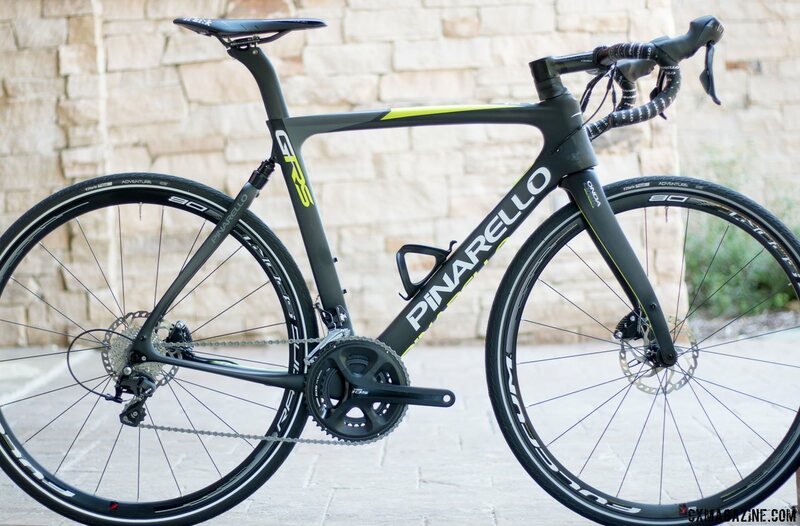 Pinarello makes the carbon frame with its T600 carbon, which is heavier than the high-end T900 fiber. 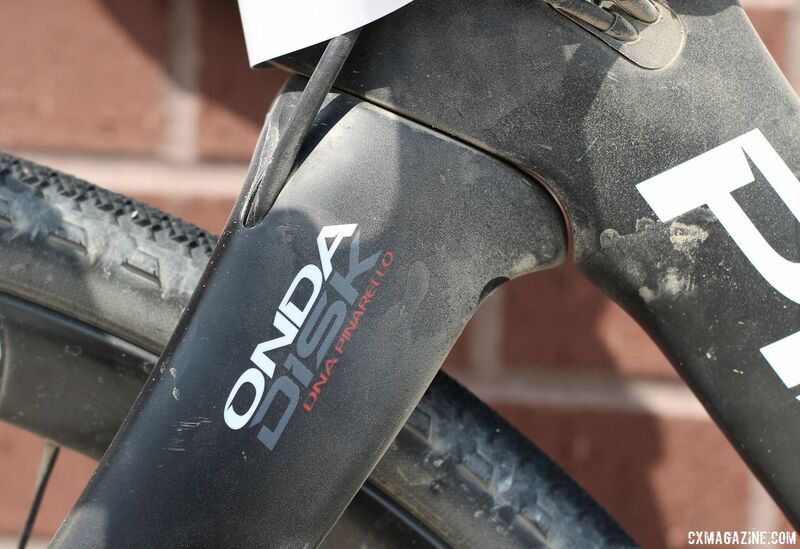 The ONDA Disk carbon fork has modern 12mm thru-axles and flat mount caliper mounts and also offers versatility with front rack mounts. 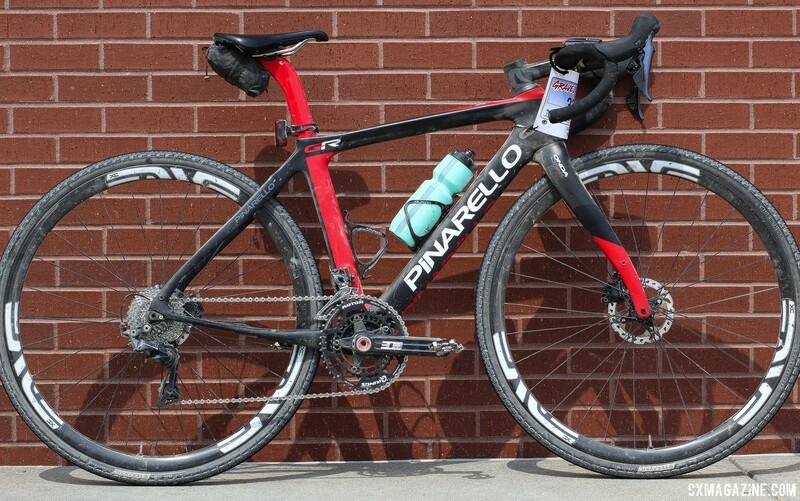 This is not the first time we have seen Pinarello's GAN gravel bikes that share a line with several other aerodynamic GAN road bikes. We first saw the two models offered by Pinarello at Press Camp two years ago. Interestingly, the meteor X giordana team rides the lower-end of the two bikes. 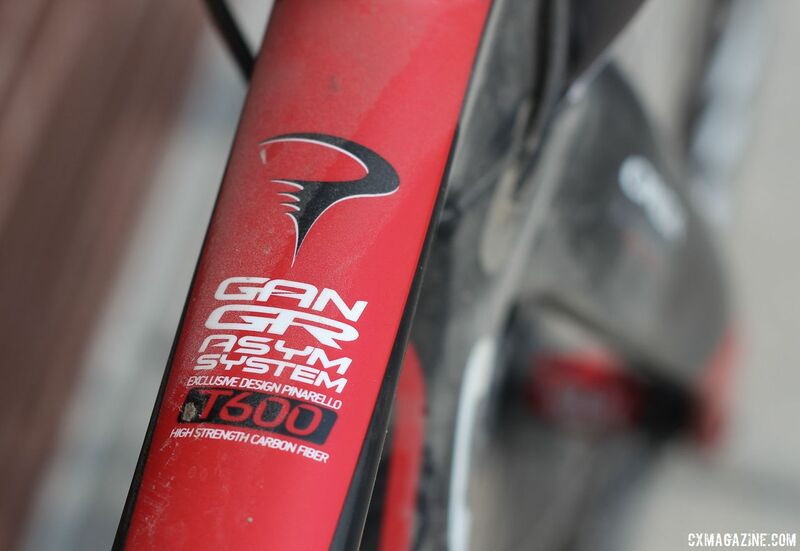 The higher-end GAN GRS uses the lighter T900 carbon and has an elastomer suspension system on the seatstay. According to Pinarello, the bike borrows airfoils on the main triangle from the Dogma road bike. The "all-road" style geometry is reinforced by chainstays that have clearance for up to 38mm tires. 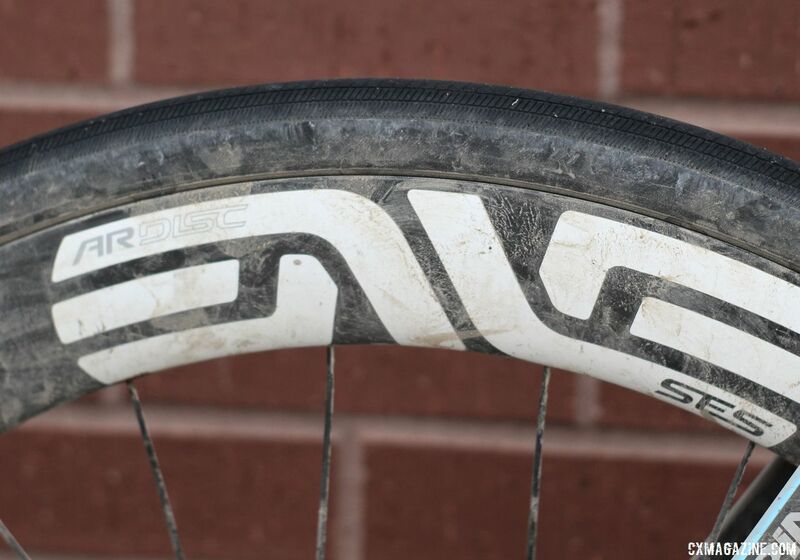 With the fast-rolling, pea-sized gravel of the Gravel Worlds course, Gregg ran 700c x 35mm Teravail Cannonball tires with a full set of small knobs. "For this kind of stuff, I've never wanted more than 35mm," she said about her tires. "I honestly considered running 33s. Sometimes at home when I'm ripping some singletrack, I think dang, I wish could throw some 40s on here, but I guess that's what you buy a mountain bike for. For this purpose, it is perfect." 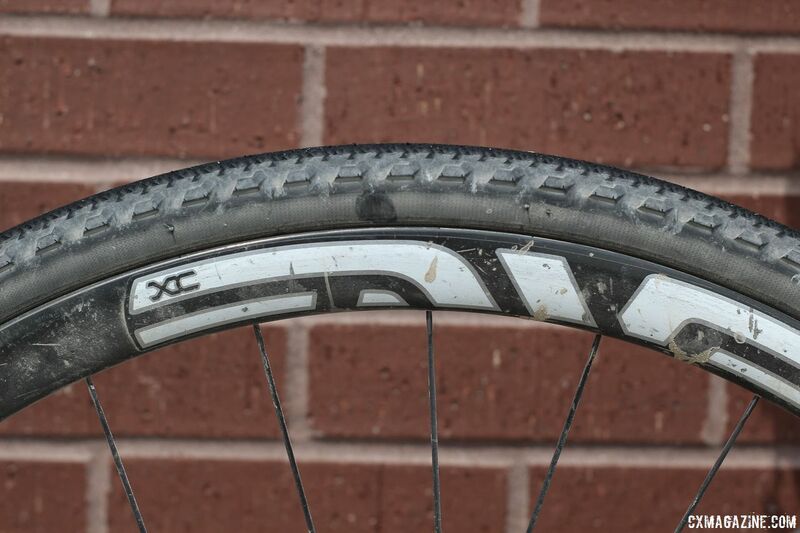 Gregg's ENVE XC carbon wheels harkened back to earlier days of mountain biking and gravel. 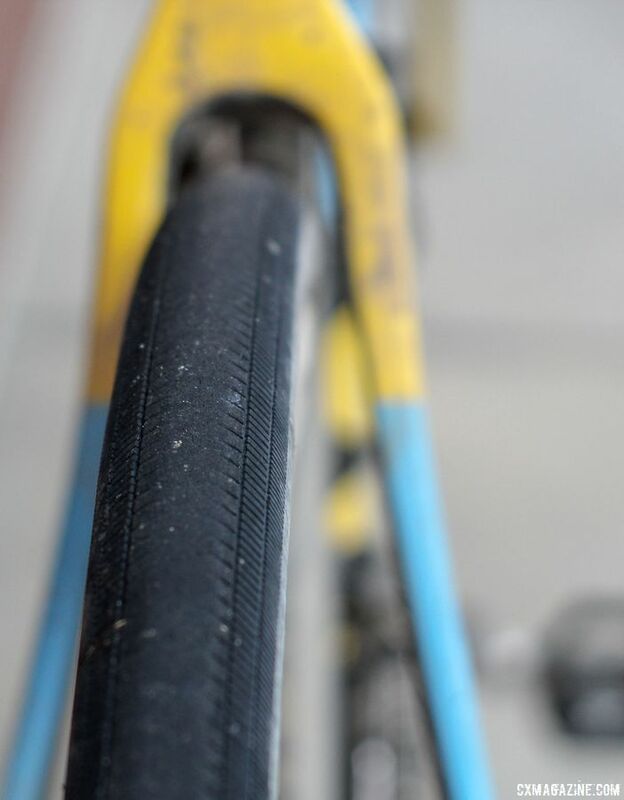 The tubeless clincher wheels, aimed at mountain biking, were last produced in 2014, and thus have an 18mm internal width that is narrow compared to modern gravel wheels. Gregg lives in San Francisco, which has its fair share of steep hills in the city and surrounding rural areas in Marin County. She has geared her bike accordingly, with a little assist from a hilly gravel race. 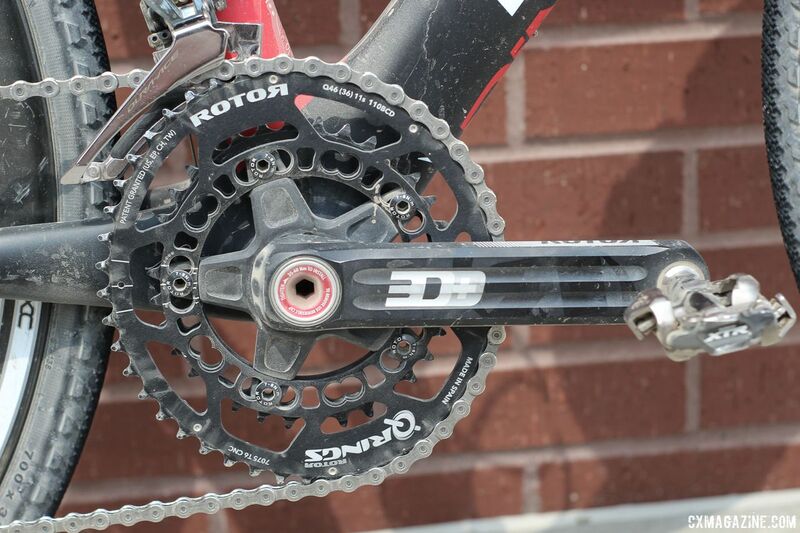 She used a Rotor 3D crankset with 46/34t chain rings and an 11-30t cassette in the rear. "It's a 46/34 actually. I switched the inner ring because it's so hilly where I am at home," Gregg said about her gearing. "That's an 11-30 in the back, but sometimes I want to do an 11-32t even because the hills at home are pretty gnarly. I knew there wasn't anything too bad out here. I switched to the tiny inner ring because of Crusher in the Tushar." She paired her crankset with mechanical Shimano Dura-Ace R9100 front and rear derailleurs. Her shift/brake levers were Shimano Dura-Ace R9120 Hydraulic Disc Brake Dual Control Levers paired to BR-R9170 hydraulic disc calipers. The biggest difference between the bikes of Gregg and her teammate Strickland—besides frame size, obviously!—is their respective approach to aero bars. Gregg has a firm no aero bar policy for gravel racing. 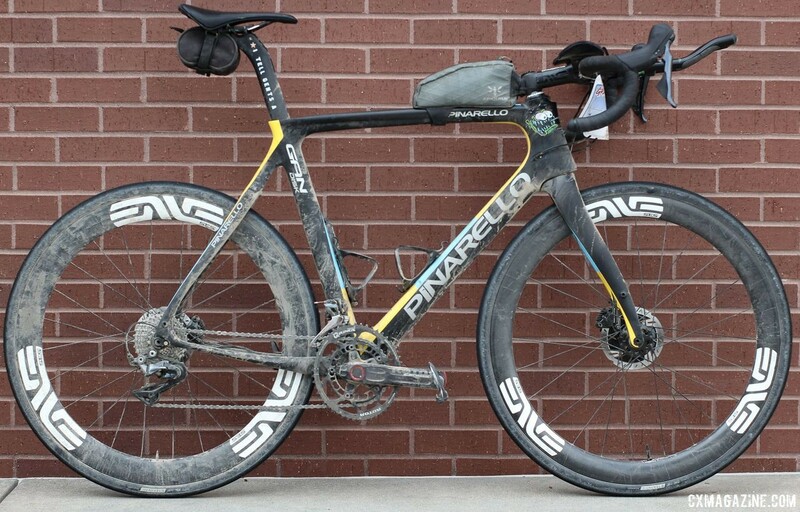 "I think aero bars are just as dangerous on gravel as they are on the road. They're banned on the road. 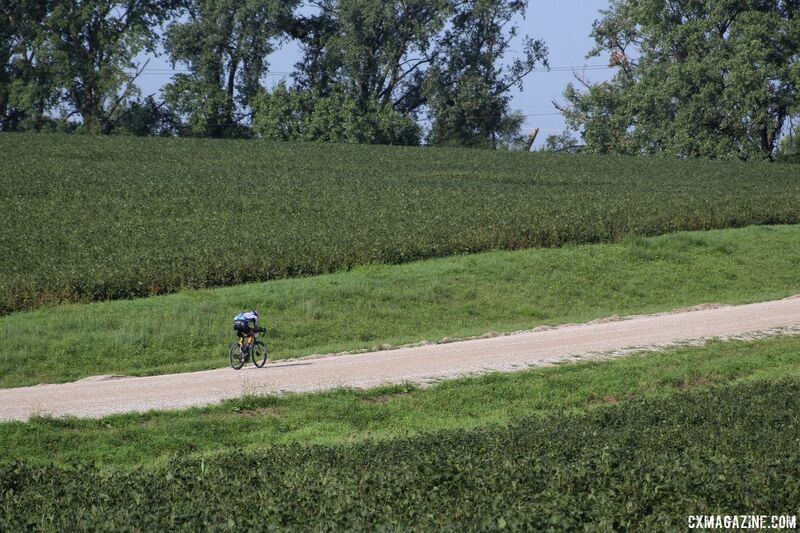 At Dirty Kanza Geoff Kabush and Joshua Berry, the second and third guys, definitely took a stand against them, and I think that's kind of necessary." 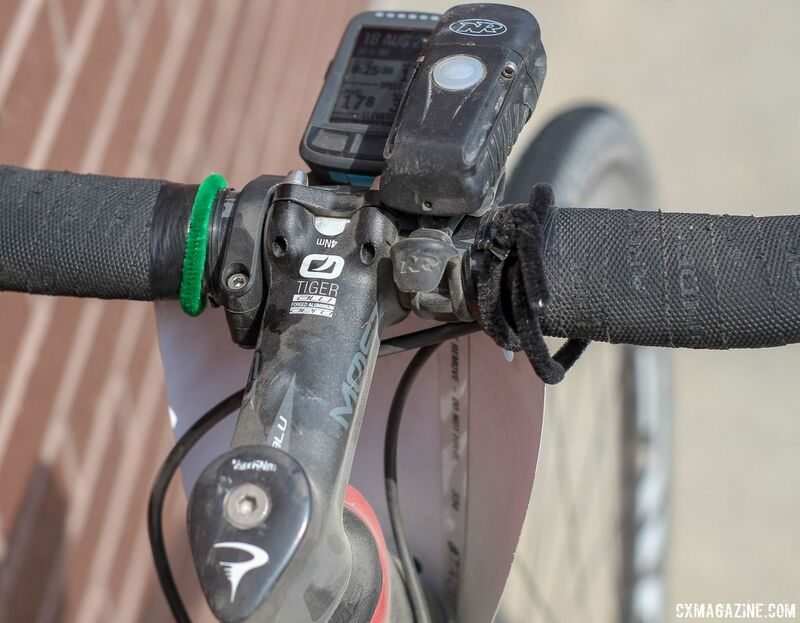 The only attachments to Gregg's cockpit were her Wahoo Elemnt Bolt computer, Gravel Worlds number plate, NiteRider Lumina light at the beginning of the race that started at 6 a.m. and black and green pipe cleaners picked up at the two checkpoints. For more on Gregg's Pinarello GAN GR Disk, see the photo gallery and specs below. Strickland also rode a Pinarello GAN GR Disk bike. When we chatted with him before his Gravel Worlds defense, he said he thinks the bike is well-suited to the Gravel Worlds course. "I will be riding the Pinarello GAN GR Disk, which I would argue is the ideal bike for the Gravel Worlds course," he said. "The bike is aerodynamic, with perfect clearance for 35 to 38mm tires. In a gravel race with high speeds and lots of exposure, this bike is ideal." Strickland needed the aerodynamic bike during his long, solo chase back after suffering a flat early in the race. He paired the aero frame with ENVE SES 4.5 AR Disc carbon wheels that have 49mm front and 55mm rear depths. The wheels were also accommodating of his nearly-smooth 32mm Teravail Rampart tires thanks to the rims' 25mm internal widths. Strickland said the tires measured out to 35mm on the ENVE rims. Strickland's chase back to win the race was thanks to a slow-leak flat early in the race. "My rear leak was likely due to a leak at the valve seal during a day-before service I performed," he said. "It pays to pay a good mechanic sometimes." Strickland's GAN GR Disk had a custom blue, yellow and black paint scheme with several pieces of flair to individualize his ride. A weird-looking neon person adorns the side of the head tube. 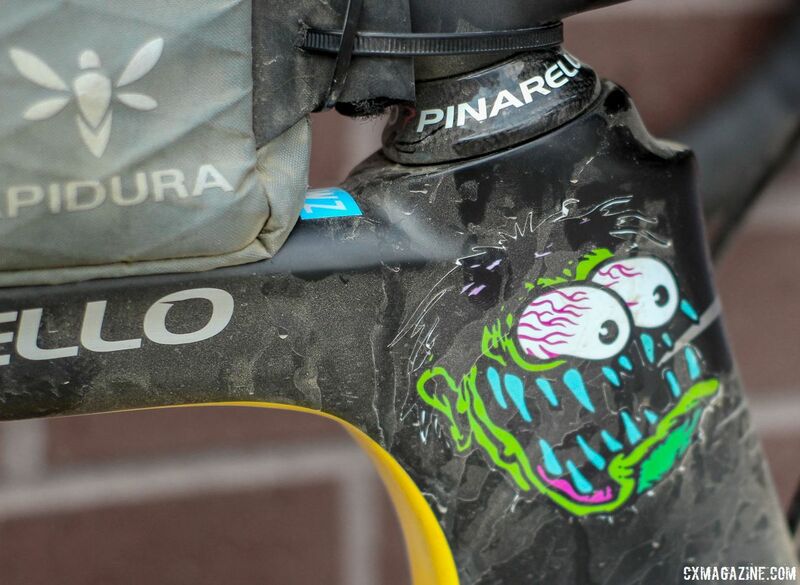 "The 'weird eyeball guy' decal on my bike's headtube is an homage to the 1960s Southern California hotrod art by Ed Roth," Strickland said. "It's a series of cartoons that characterize the obsession with nasty, filthy speed and the love of fast machines. I think it suits gravel racing quite well." His seat post reads "I Tell Gents A," which is left over from his team's 2017 sponsorship by Intelligentsia coffee. A "The Meteor" head cap pays homage to one of his 2018 sponsors, and a script "Phil" on the down tube is for Phil Wood & Co., a California company that provides the team with its hubs. While Strickland's teammate Gregg is anti-aer0-bar, Strickland embraced the popular trend in gravel racing. 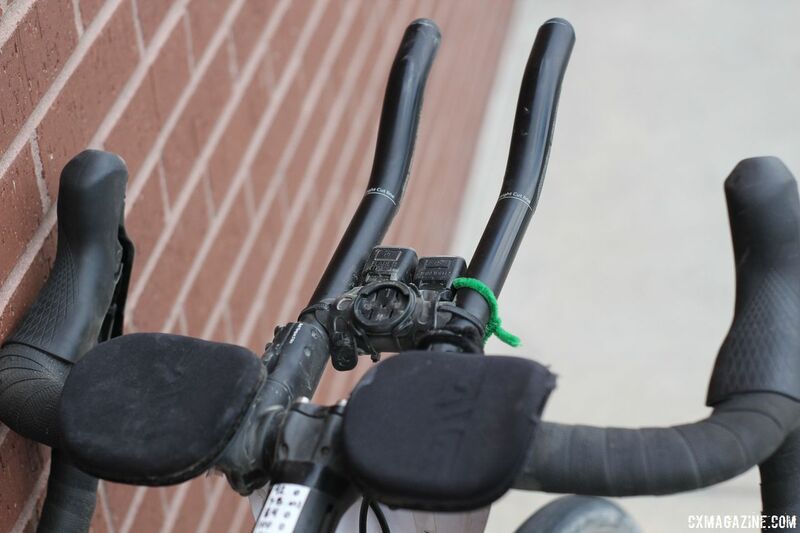 He ran the ENVE SES Aero Handlebar Clip-On Extensions with an S-bend attachment. The pads and extensions gave him a comfy platform while turning himself inside out chasing back to the front of the race. 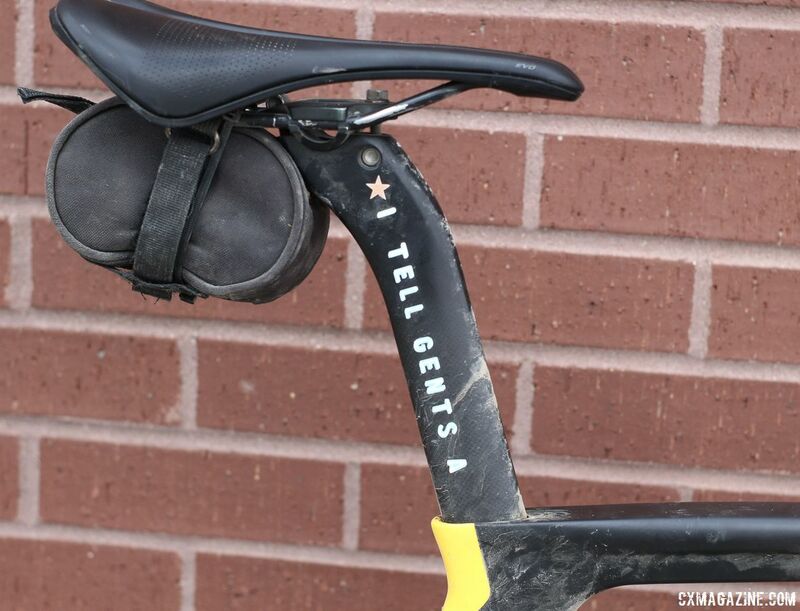 "Aero bars relieve stress on the lower back at high speeds and when you are first wheel, so they were an obvious choice for Gravel Worlds," Strickland said. "The aero bars definitely helped me stay relaxed and fast for the solo chase after my puncture." He also offered his thoughts on aero bars for gravel events. "Personally, I believe that promoters should simply state 'No aero bars allowed,' and that would settle the debate. However, as long as they are permitted on long exposed races, I will certainly utilize them because they make me faster." 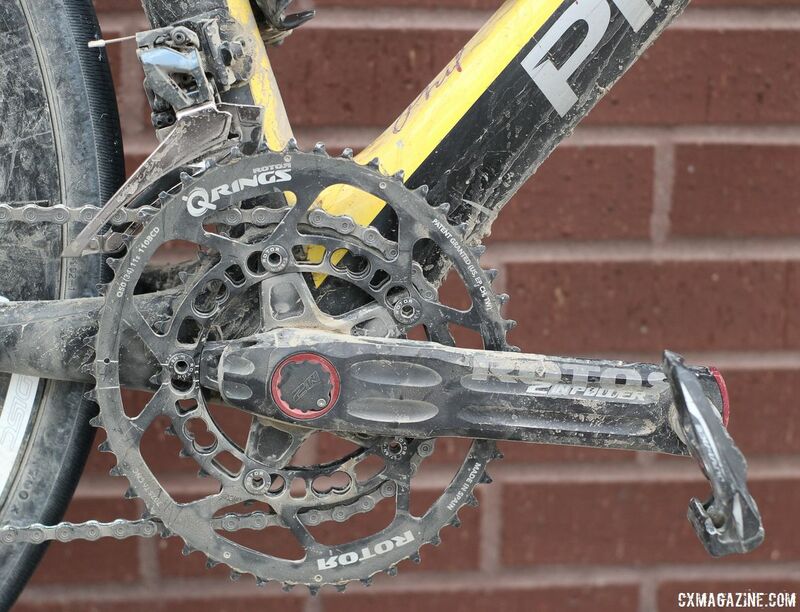 Like Gregg, Stickland used mechanical Shimano Dura-Ace R9100 derailleurs with a Rotor 2INpower DM Road crankset with integrated power meter that measures both left and right power. His chain rings were 50/34t Rotor Q Rings. Strickland opted for road pedals for his gravel ride, while Gregg used Shimano XTR M9000 SPD pedals. For more on Strickland's winning Pinarello GAN GR Disk, see the photo gallery and specs below. For more from Nebraska, see our 2018 Gravel Worlds archive.